At the time of this writing, millions of bitcoins trading and exchanging happening across decentralized exchanges. Sounds interesting? Yes, the traditionally centralized exchanges are being replaced by the peer to peer exchanges(decentralized). This replacement is mainly happening due to the recent hack of crypto exchanges which holds the user funds in its centralized servers. People are a little bit hesitated to involved in the centralized exchanges even in the biggest exchanges have seen the low trading volume for 6 months. 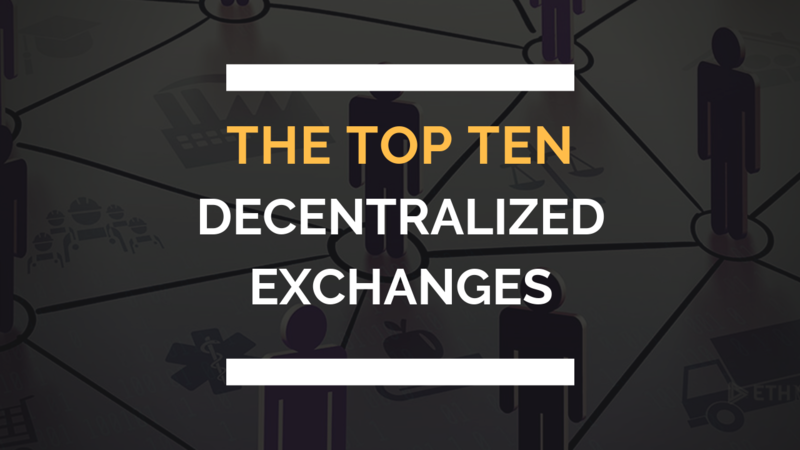 Here, I am going to describe the decentralized exchanges which are best for trading and exchanging the cryptocurrency. Before that, if you are an entrepreneur who needs to build a decentralized exchange means you can contact our experts. They will guide you to start a decentralized platform from end to end. IDEX is one of the popular decentralized exchange which is currently in use. IDEX mainly supports the tokens based on Erc20 standard. The simple user interface of IDEX will make smoother and convenient trader experience for the users. It is a blockchain based solution in Denmark that provides decentralized exchanges. The openledger decentralized exchange leverages Bitshare’s graphene technology. It is quite easy to open an account in Openledger DEX, as it does not require any KYC and registration process. Waves DEX ensures up-to-date technology and it is popular for its fast and fluid user interface. This decentralized exchange will give you the advantages of centralized exchanges without any risks this is because order matching will be done in a centralized manner. It is a popular cryptocurrency and blockchain project. Stellar support various cryptocurrencies like Bitcoin, litecoin, ethereum, Ripple as well as some fiat currencies. The SDEX platform offers atomic pathfinding, which will automatically find the cheapest trading pairs for your convenience. This is a highly recommended decentralized trading/exchange platform created by MakerDao. This DEX project explains itself as a liquidity pool on ethereum blockchain, this is because it only supports ethereum, DAI, and MRK. Bitsquare is a peer to peer marketplace for cryptocurrencies which requires no name, email id or verification. Therefore Bisq is only for those who do not want a third party or any central authority to trade and control cryptocurrencies. The counterparty DEX works with bitcoin blockchain technology to facilitate decentralized trading of cryptocurrencies. The counterparty ecosystem allows the creation of new digital assets and those assets can be traded freely upon the counterparty DEX. Unlike other decentralized exchanges, Barter DEX is also powered by Komodo’s atomic swap technology. This atomic swap technology will enable peer to peer trading of cryptocurrencies from one blockchain to another with low transaction fees and high security. Radar relay comes in the form of API integration and allows to trade ethereum tokens without the interference of any third party. Besides, the transactions can be directly handled from one wallet to another. This DEX is running on the top of bit shares network. It ensures a high range of security and supports trading on all popular altcoin pairs without a single point of failure. Lack of liquidity of cryptocurrency price(as they are very young, they have a long way to implement all those transactions. Need an expert idea to launch a decentralized exchange platform? Request a free demo for decentralized exchange.